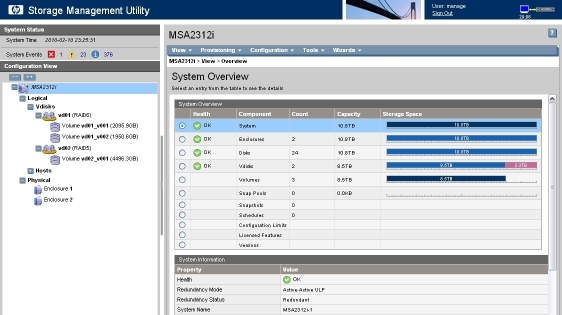 New storage toys and new storage woes » Welcome to vSphere-land! Sorry to hear about your troubles with your Iomega NAS. I recently purchased one for use in my home ESX lab and I can once you get the issues ironed out I think you will be more then happy with its capabilities. For the MSA 2312 you ordered did you purchase the 12 disk or 24 disk version? We went with the 12 disk LFF model due to the larger capacity and faster RPM drives. The largest SAS disks that can be used in it are 450GB 15K drives. In the 24 disk SFF model the largest 15K SAS disk is 72GB and the largest SAS disk available is a 300GB 10K disk. We also added an 12-disk expansion shelf to the MSA 2312 so we could have a total of 24 drives. 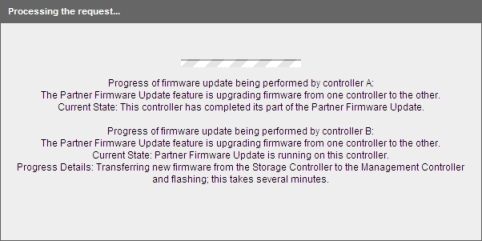 Came up against the same Firmware update problem on the 2312i chassis this weekend. The loop is caused by a problem with updating the management controller firmware on Controller B, which causes that infinite loop situation. 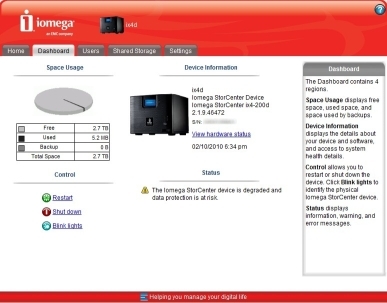 I had the same issue with My Iomega IX2-200 2TB device. I had to return my unit twice to Frys. The original one and the replacement. Finally the 3rd unit had both 1TB drives working. My 3rd device had a manufacture date of 10-29-2009. The two that both had a failed harddrive shared the date of 12-23-2009. You can check the date before purchasing since the manufacture date is printed near the UPC barcode. Sounds like they may have had a bad batch of drives from Seagate. I think the manufacture date on mine was pretty recent also. I got mine from Fry’s also who seemed to have the lowest price than anyone for $599.